I used to shop Etsy a lot. My wife used to sew and sell stuff on there too. For whatever the reason over the past few years, I've somewhat strayed from using that site to acquire fishing stuff other than the occasional set of flies. 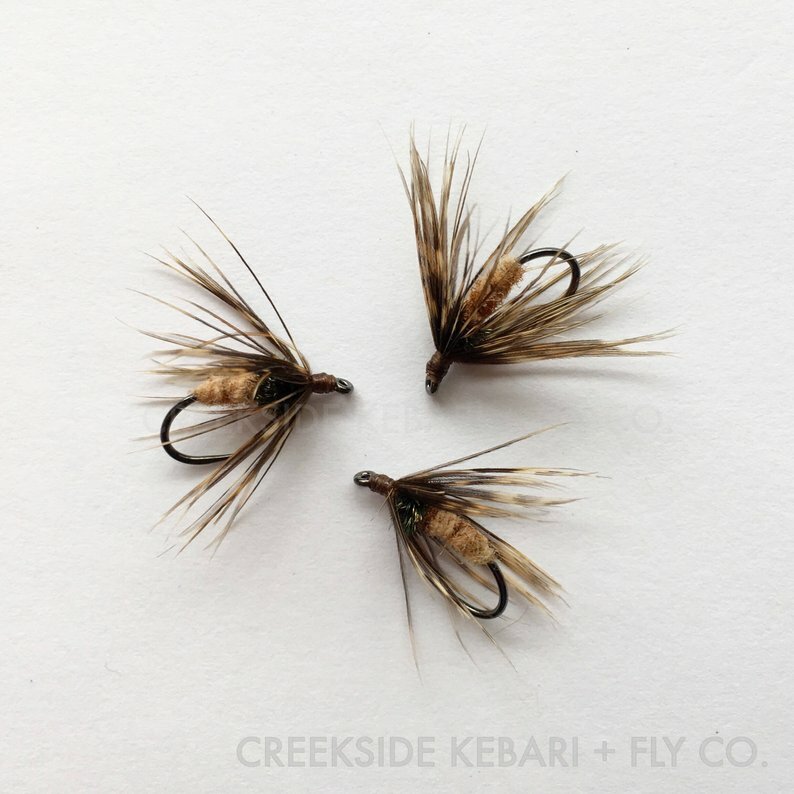 Decided to take a peek last night and see what's going on over on Etsy in the tenkara world. Found some interesting things, here are some highlights. Check THESE out from seller Beornidas. Talk about gorgeous. The inlay on the one handle almost looks like trout spots... only 2 left! 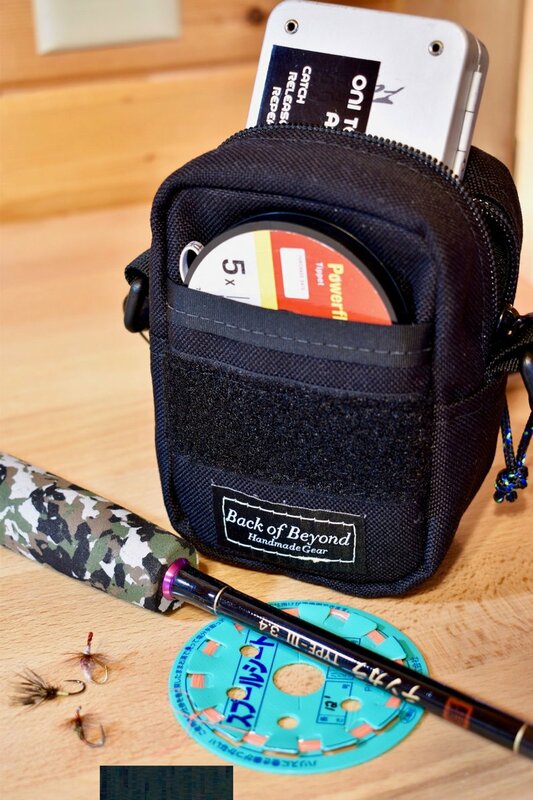 You may be familiar with Yonah Packs from prior posts here, but are you familiar with QuinnGear, Golden Trout Lanyards, or Back of Beyond Bagworks? Don't worry, I wasn't either. Each has their own spin on packs that support a minimalist approach to fishing. A fellow Type III fan. Back of Beyond clearly knows good gear. Besides the nets mentioned above, there's some really cool fly boxes from Dave B Design, rod cradles from Tenkara Rod Cases, and of course awesome line spools from Tenkara Path and wading staffs from TyRoam. You may have read my interview with Ty Espinoza of TyRoam in the past, if not, you should check it out. Look, there's a lot of sellers of flies on Etsy... too many probably. But don't spend too much time shopping around. Just go to Creekside Kebari. They are where it's at. There's just so much stuff to be had, I was really pleasantly surprised. Way more than a few years ago it's kind of crazy. So, the next time you need to scratch a gear itch and you can't find what you're looking for in your local fly shop, check some of these folks out... these are all small businesses trying to make good. Great post Mike! I really like how you do these roundups of videos, gear, and other content! About the boxes ... I've known Dave Burchett for years and his stuff is amazing. 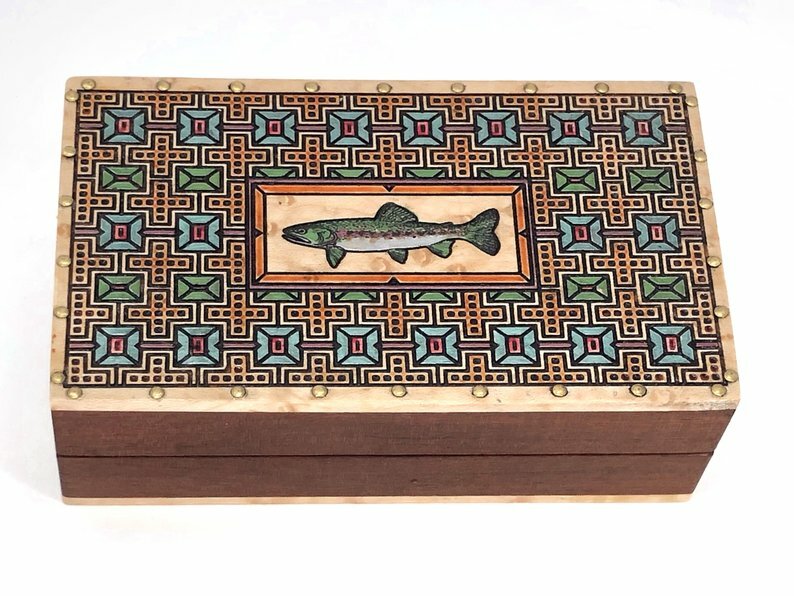 If you ever see him at the Fly Fishing Shows, he always has lots of tenkara-themed things like boxes, rod cases and more. Plus he's a great guy. Thanks Jason. I remember the days you'd go on a site like eBay type in "tenkara" and only find one or two results. Man things have changed. Looks like Dave makes some beautiful product. Love Etsy and the shop small concept. 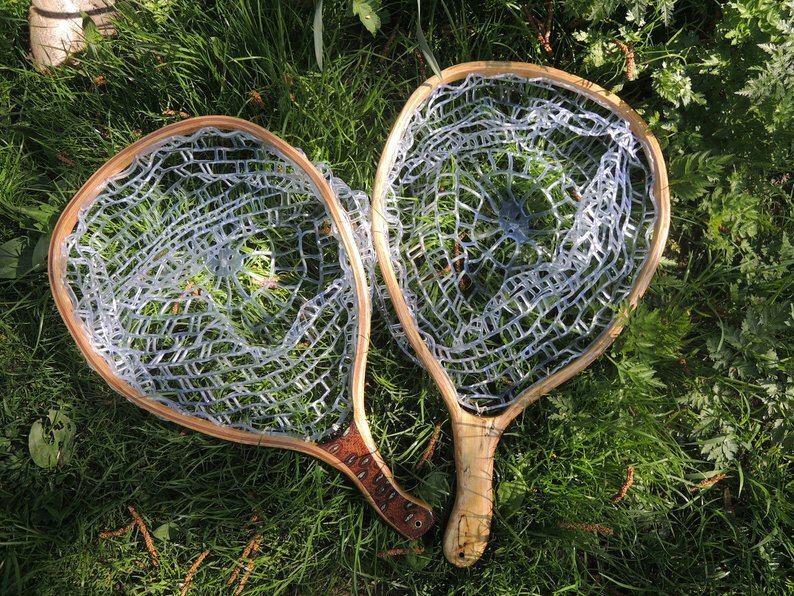 Some great craftsmanship for sure.